Microsoft’s Windows team is working on the underlying structure of the latest operating system, before releasing any new features. Gabe Aul, however, shared in a tweet that we should start expecting new features after a few builds. Seems like Microsoft has already made a huge jump as the internal Windows 10 Redstone build goes from 11107 to 14251. 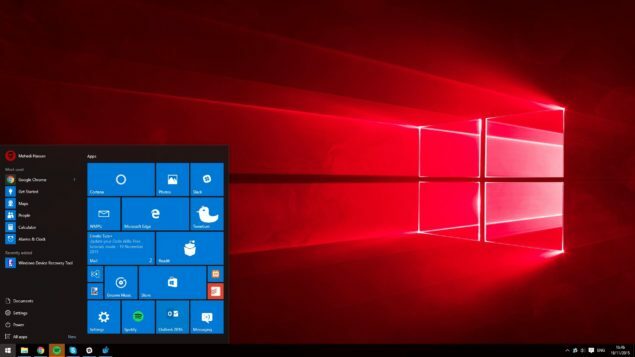 Windows 10 Redstone updates were supposed to bring new features. However, Microsoft has been focusing on improving the core of the operating system, making it smoother and more stable with under the hood optimizations. The latest Insider preview alone brought in some 1200 changes over its predecessor. None of these changes were visible at the front, except a tiny little edition in Microsoft’s Edge browser. Windows 10 Insider members have been a little upset with this lack of exciting, visible changes that Microsoft once promised Redstone updates will bring. Gabe Aul, the popular face of Windows 10, is giving some hope that we will soon see some bigger changes. A new report shows that Microsoft might already be making some bigger jumps internally. Buildfeed.net, the website dedicated to tracking the internal build numbers, has posted the latest internal Windows 10 Redstone build to be at 14251, up from 11107. There is no information about what this jump means in terms of features or which features are we looking at, if there indeed has been any such development internally. The website only tracks the internal build numbers with no other details or information about the builds. As Microsoft continues to stabilize Windows 10’s structure, we can’t wait to see what new features we will be seeing in the coming weeks. Extensions for Edge, interactive Live tiles? The jump in the internal Windows 10 Redstone build numbers certainly indicates a number of changes being tested. It’s just a matter of time when these developments are rolled out to Fast ring members of the Windows 10 Insider Program.